Reyne Haines & Destination Antiques Our shared devotion for the magnificent glass items of yore was the stepping stone for a wonderful and inspiring friendship. Her story is that of passion, dedication and intelligence, her brightness and deep knowledge led her to discover a wonderful world that was not yet as thoroughly explored as it should. Her story with glass begins back in 1990 when she was living in New York, she –herself says it was then when- discovered the endless world of shops, shows and galleries. Her personal passion triggered her interest, and powered by a bright mind and an amazing whit, our friend not only discovered great items, but began to research on unknown or poorly known matters till then. While her specialty is Tiffany Studios glass, she has extensive knowledge in Steuben, Durand, Quezal, Galle, Daum, Schneider and Loetz glass.......read all about her in our work web blog. For more information: Email: Bob Frassinetti. Press here to go back to web blog:Daily Updates on Art, Antiques, Collectibles as well as travel information for Buenos Aires, Argentina. The development in terms of production in these modern days is unquestionable. We, as humanity are now capable of producing anything men has ever dreamt of at amounts that are even to imagine. Billions of billions of all sort of items are daily produced, all looking alike, all mass produced by outstanding machines invented by someone with a very bright mind. All look-alike mass produced – mass consumed items… What ever happened to our beloved craftsman or woman? To those unique kinds of objects that suited our personality? I believe those craftsmen and women became artists or artisans, and those unique items are now antiques… But the modern world development has some weird and interesting turns down here in Argentina. 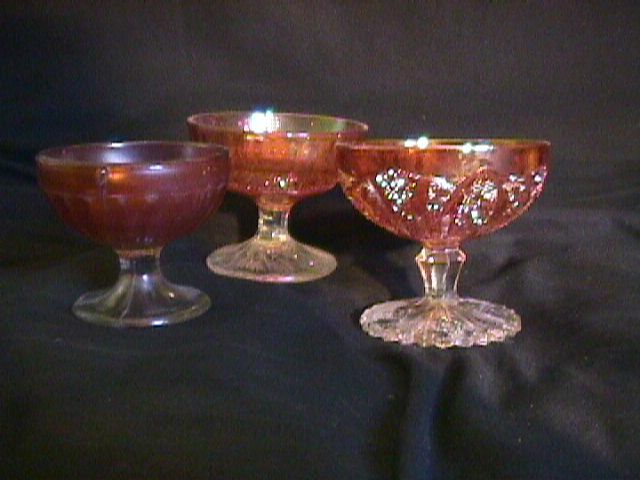 One of the country’s most important glass and crystal firms during the 60s and 70s went bankruptcy during the 90s. Over 1500 employees were left without a job, and one of the Glass industry Titans had gone down. When the owner shut down the lights for the last time and closed the front doors with an immense lock it seemed it was Cristalux’s end had come, there were not going to be any more Durex items produced again. A broad set of vintage 1970s glass production machinery was locked down, and the magic maker worker was left out. The business had began to sink during the late 70s and 80s when it was impossible for these products to compete with foreign mass produced glass items. These workers were not regular workers, they were artisans according to our former definition. They were craftsmen and women who knew all about the art of making glass… Such a huge human capital could not be appreciated back then by their employer… But all those workers knew much more, so they gathered together and began to work out a plan to recover their beloved plant. They worked on a detailed plan to recuperate and put back to work this plant, went to the justice, and finally a couple of years ago they were granted the permission by Judge Matilde Ballestrini. Filled with excitement, emotion and curiosity, 100 former Cristalux workers walked through the main entrance to their factory. It was something that words cannot describe… They have jointly decided they wouldn’t retake the former brand, this is our industry now, ours as Argentineans, so it should be called Argentinean industry, plain, simple, deep and powerful, said one of the workers… and so it did. On the bottom part of each item it reads: industria argentina. As they turned on the power, and every sector of the plant enlighted and machines began to warm up they gathered together in front of the supply room… It’s were the magic begins… These crafts wen and women, knowers of secrets and magicians of glass, mix in secret proportions sand, minerals and grained crystals, glass production has began! Rare Carnival Glass made in Argentina. It's important to point out the historical, cultural and social value of the Argentine Glass industry, making all types of glass,as well as Carnival Glass, today a collectible looked for world wide.Email Bob Frassinetti. The Buenos Aires Art Dealer,Argentina. Bob Frassinetti. Copyright 2005.And Updated 2009 Roberto Dario Frassinetti. Back in 1882 there was not even one company that produced glass jars in the country, and the importation terms were guided by extremely high standards, making it impossible to achieve to small and medium conserve producers and many other industries in need of these sort of containers. There had been small and medium glass items producers who had gone bankruptcy, leaving many warehouses abandoned including all the machinery left behind. It was Leon Rigolleau the man of the hour. He bought all those warehouses including the machines and leftovers, and began to produce glass jars in a location nearby downtown BA. The company was christened La Nacional- the National-. Soon they expanded as Mr. Rigolleau's nephew Gastón Fourvel Rigolleau enters the business. The foremost important decision taken by the Rigolleau family, a turning point within the national glass industry, was to bring from France and Belgium specialized glass artisans to work with them . In 1908 Cristalerias Rigolleau SA relocates in Berazategui, preserving the downtown building as headquarter offices. It was then when a gifted Belgium artisan arrived to Argentina to work at Rigolleau. Mr J.L. Humier was Rigolleau's Artisan in chief. This was a family craft, so soon, several members of the Humier family were to be running the day to day work at Rigolleau. Rigolleau soon became South America's most important crystal making company, and one of the world's greatest. At the same time Rigolleau's prestige grew all over the world, the company began to grow in terms of quantity production, and to industrialize and mechanize more and more the productive process. However, unlike the general trend, Rigolleau preserved an Artistic Section of fully hand crafted high quality, great design items. Many of these items were taken to world wide museums for their innovative design and precious technique. So if you are interested in Art or Antiques, and you are thinking of travelling to Argentina Chile or Uruguay please feel free to email me…….. Please feel free to contact Bob Frassinetti: For more information: Email: Bob Frassinetti. Press here to see all topics on Art, Antiques and Travel Information for Buenos Aires & Argentina:Everything on Art, Antiques, Collectibles as well as travel information for Buenos Aires, Argentina, Chile and Uruguay. Phone me thru Skype, ID: Bob_Frassinetti or you can also chat with me thru Yahoo, press here: Yahoo Contact Find me on MySpace and be my friend! Or Phone: +54 911 6965 1955 or in B's A's: 15 6965 1955 ) Invest in Argentina Real Estate an uprunning opportunity with a Future Read The Buenos Aires Art Dealer a e-zine magazine on Art, Antiques & Collectibles from Argentina. The Buenos Aires ArtDealer, Argentina. And Argentina made Carnival Glass. It's important to point out the historical, cultural and social value of the Argentine Glass industry, making all types of glass,as well as Carnival Glass, today a collectible looked for world wide.Email Bob Frassinetti. The Buenos Aires Art Dealer,Argentina. Bob Frassinetti. Copyright 2005. Roberto Dario Frassinetti. Back in 1882 there was not even one company that produced glass jars in the country, and the importation terms were guided by extremely high standards, making it impossible to achieve to small and medium conserve producers and many other industries in need of these sort of containers. There had been small and medium glass items producers who had gone bankruptcy, leaving many warehouses abandoned including all the machinery left behind. It was Leon Rigolleau the man of the hour. He bought all those warehouses including the machines and leftovers, and began to produce glass jars in a location nearby downtown BA. The company was christened La Nacional- the National-. Soon they expanded as Mr. Rigolleau's nephew Gastón Fourvel Rigolleau enters the business. The foremost important decision taken by the Rigolleau family, a turning point within the national glass industry, was to bring from France and Belgium specialized glass artisans to work with them . In 1908 Cristalerias Rigolleau SA relocates in Berazategui, preserving the downtown building as headquarter offices. It was then when a gifted Belgium artisan arrived to Argentina to work at Rigolleau. Mr J.L. Humier was Rigolleau's Artisan in chief. This was a family craft, so soon, several members of the Humier family were to be running the day to day work at Rigolleau. Rigolleau soon became South America's most important crystal making company, and one of the world's greatest. At the same time Rigolleau's prestige grew all over the world, the company began to grow in terms of quantity production, and to industrialize and mechanize more and more the productive process. However, unlike the general trend, Rigolleau preserved an Artistic Section of fully hand crafted high quality, great design items. Many of these items were taken to world wide museums for their innovative design and precious technique. So if you are interested in Art or Antiques, and you are thinking of travelling to Argentina Chile or Uruguay please feel free to email me…….. Please feel free to contact Bob Frassinetti: For more information: Email: Bob Frassinetti. Press here to see all topics on Art, Antiques and Travel Information for Buenos Aires & Argentina:Everything on Art, Antiques, Collectibles as well as travel information for Buenos Aires, Argentina, Chile and Uruguay. Phone me thru Skype, ID: Bob_Frassinetti or you can also chat with me thru Yahoo, press here: Yahoo Contact Find me on MySpace and be my friend! Or Phone: +54 911 4475 3983 or in B's A's: 15 4475 3983 ) Invest in Argentina Real Estate an uprunning opportunity with a Future Read The Buenos Aires Art Dealer a e-zine magazine on Art, Antiques & Collectibles from Argentina. The Buenos Aires ArtDealer, Argentina. Need an apartment along Defensa Street in between San Telmo and Plaza de Mayo, the heart of Buenos Aires, Press Here. And so if you are interested in Art, Design or Antiques, and you are travelling to Buenos Aires, Argentina, or to Santiago, Chile or even Montevideo, Uruguay and need to buy and export these items or only need tips and travel information, please feel free to email us…….Please feel free to contact Bob Frassinetti with this email address: Email: Bob Frassinetti. The main offices of the firm Cristalerias Rigolleau in 1908, though the company was founded in 1882, in down town Buenos Aires, Argentina, photos taken today, Sunday 27 of November, 2005. Press here for more information on Glass made in Argentina as well as Reyne Haines who is one of our first world wide friends:Her story with glass begins back in 1990 when she was living in New York, she ?herself says it was then when- discovered the endless world of shops, shows and galleries. Her personal passion triggered her interest, and powered by a bright mind and an amazing whit, our friend not only discovered great items, but began to research on unknown or poorly known matters till then. While her specialty is Tiffany Studios glass, she has extensive knowledge in Steuben, Durand, Quezal, Galle, Daum, Schneider and Loetz glass.